The advent of 3-D printing has led to many innovations in manufacturing, assembly and production. Nearly anything – from machine parts to food – can be printed on demand. Researchers now are exploring the technology to print human tissues and organs. However, the lack of good inks for 3-D bioprinting remains a barrier. 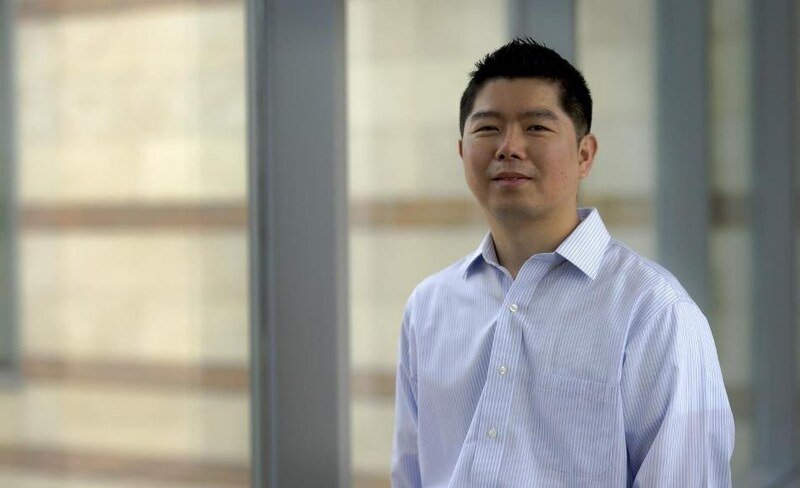 Kyungsuk Yum, an assistant professor in the Materials Science and Engineering Department of UTA’s College of Engineering, has earned a $100,000 grant from the National Science Foundation to develop nanocomposite hydrogel bioinks that could be used for that purpose. Inks for bioprinting must be 3-D printable and biocompatible. They must form to their intended shape and be used safely with living cells. Current bioinks are mostly made from a polymer solution that encapsulates cells, a material commonly used in tissue engineering. However, because these bioinks are in a liquid state, it is difficult to print 3-D tissue structures that are self-supporting and high resolution because the bioinks spread and their mechanical properties are weak. Stathis Meletis, chair of UTA’s Materials Science and Engineering Department, says that Yum’s grant underscores the University’s emphasis on health and the human condition contained within the Strategic Plan 2020: Bold Solutions | Global Impact. He recently was awarded a grant from the Texas Medical Research Collaborative to develop an injectable, near-infrared optical biosensor nanotube that would read a person’s blood glucose constantly and an optical glucose scanner that can access the data collected by nanotube, eliminating the need for diabetics to prick a finger to monitor blood-glucose levels.